Ashley was such a doll! I absolutely adored working with Ashley, so much so that now after her wedding she’ll be interning with me here and there =) Here is a wonderful testimonial that she wrote:! Meeting and hiring Wynn Austin was the greatest decision my husband & I made during our 10 month wedding planning journey. 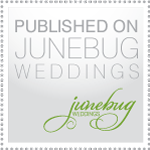 She is not just a wedding planner, she has the personality that will suite any bride and vision. I was referred to her by a few friends of mine in the wedding industry, and let me say that she is a well sought after wedding planner and everyone loves her! She truly went above and beyond what I even thought was possible. Her designs, ideas, expertise, and quick responses to every last detailed question I had fall surpassed my expectations. Our wedding would have not been the same without her. From the minute we hired her to the week after the wedding, she was always there for whatever we needed. Not all brides have the luxury of saying that. I don’t know how she does everything she does, but she in my words is a brides blessing to the absolute perfect wedding! Because of her we were able to truly enjoy the greatest day of our life. She is guaranteed to not disappoint any couple, she will contribute more than you could ever imagine!